Less known to the tourists, Zugrenilor Gorges near Vatra Dornei is considered a little slice of heaven, a wild valley declared natural reserve in 2006 to protect the Bistrita river’s course through two mountain massifs. Zugrenilor Gorges are located in Suceava county, northern country, about 21 kilometers away from Vatra Dornei, on DN 17B towards Chiril. 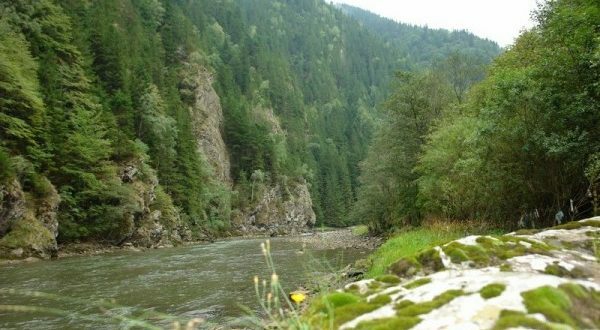 The geological reserve Zugreni Gorges – Pietrosul is the most important protected area from the northern part of the Bistrita Mountains and is the most impressive section of Bistrita River’ course. Their extremely steep slopes are spectacular. The rocky walls reach up to 200 – 300 meters height. The woody vegetation is strongly represented by spruce, sycamore maple, mountain elm, linden, aspen, mountain ash and birch. The area was declared a natural reservation in 2006 to protect the Bistrita River that has made its way through two mountain ranges. The reserve covers a 159.10 hectare-area. The gorges accommodate a picturesque canyon filled with cliffs, named by locals with bizarre names: Osman’s Stone (Piatra lui Osman), Helmet’ Rock (Stanca Coifului) or Acrii’s Corner (Coltul Acrii). The area, famous for its wilderness, has been dubbed as the most beautiful valley in the country, as it is worth visiting both in summer and in winter. 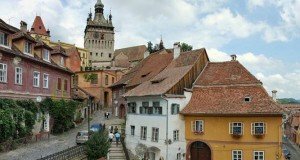 Besides the picturesque landscapes of the valley, tourists can also find leisure activities at hand, such as rafting on Bistrita River (when the waters are swirling), or horse riding in the forest. 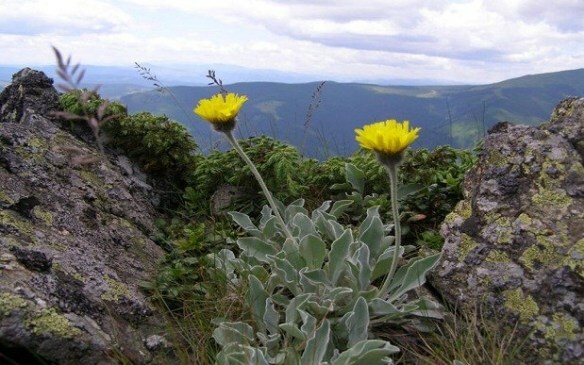 Moreover, the Zugrenilor Gorges and the entire surrounding area are sheltering a plant, unique in the world, called Petrosia (Andryala levitomentosa) or Hieracium levitomentoswn, a sort of mouseear hawkweed, considered an endemic species in Romania, for it is mostly common in Mediterranean regions. Petrosia is thus an amazing gift for the Eastern Carpathians, which “has survived only in this mysterious corner of the young Carpathians due to its abundant woolly coating“, as Tudor Opris said in his „Encyclopedia of the natural curiosities”. The gorges are surrounded by picnic areas arranged across the road and on Colbu creek. The only accommodation unit in the area is Zugreni Chalet, located on an island embraced by Bistrita River, a spot whereof several hiking trails are starting towards Rarau-Giumalau and Bistrita mountains.